Insomnia is a condition a person suffers from where it is hard to fall asleep, hard to stay asleep, or both. Insomnia negatively affects not only your energy level throughout the day, yet also your mood, health, work performance and quality of life. 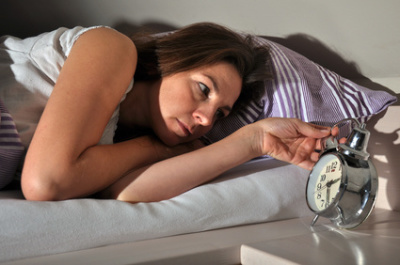 Common characteristics of insomniacs experience difficulty falling asleep, waking up often during the night and having trouble going back to sleep. Often times, insomnia is caused by the body’s inability to naturally shut down at the end of the day. If a person’s body is in a “sympathetic” nervous system state, it means they are running on “stress” mode. In our society, this is very common, and an underlying reason why many people experience the symptoms of insomnia. When the nervous system is over-sensitized and stressed out, it doesn’t leave the sympathetic state, even when in a relaxed environment. Chiropractic care makes a major difference in balancing the nervous system and reducing stress and the sympathetic state described above. It is very common for individuals to experience dramatic benefits in their sleep once care begins. This then makes a difference for their energy the next day, their mood, clarity, and focus.